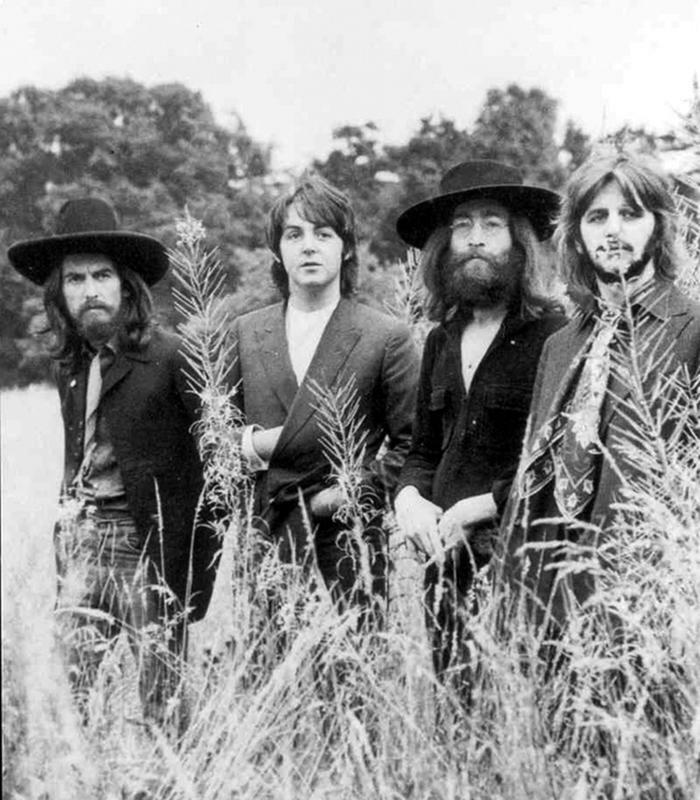 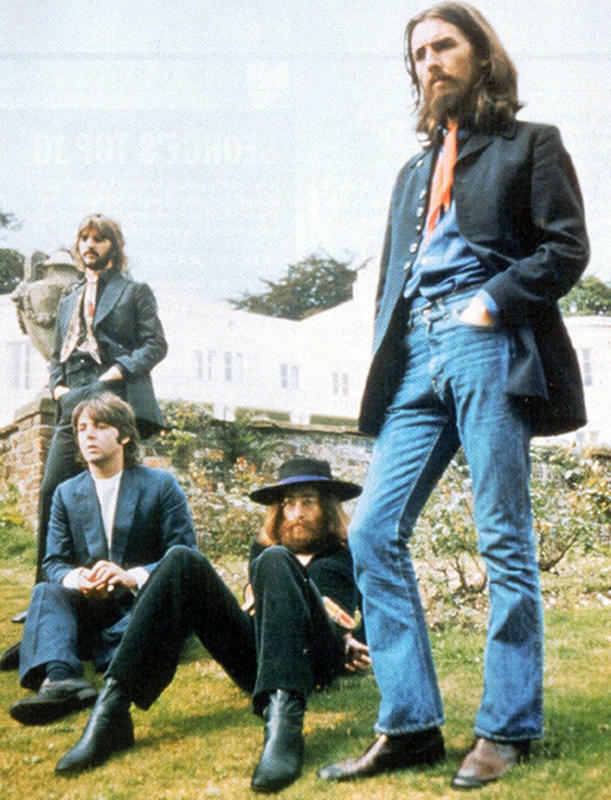 The Beatles walked to an overgrown cricket pitch with high grass, where George Harrison, Paul McCartney, John Lennon and Ringo Starr stood in a row while being filmed and photographed from a variety of angles. 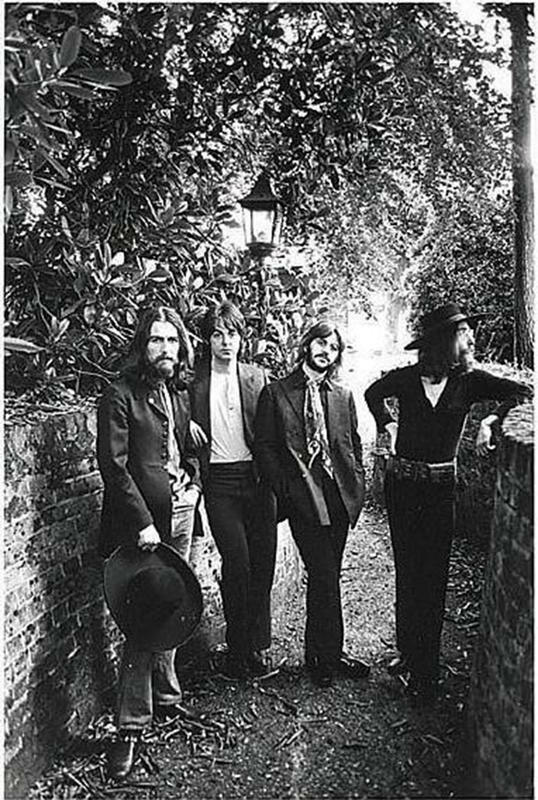 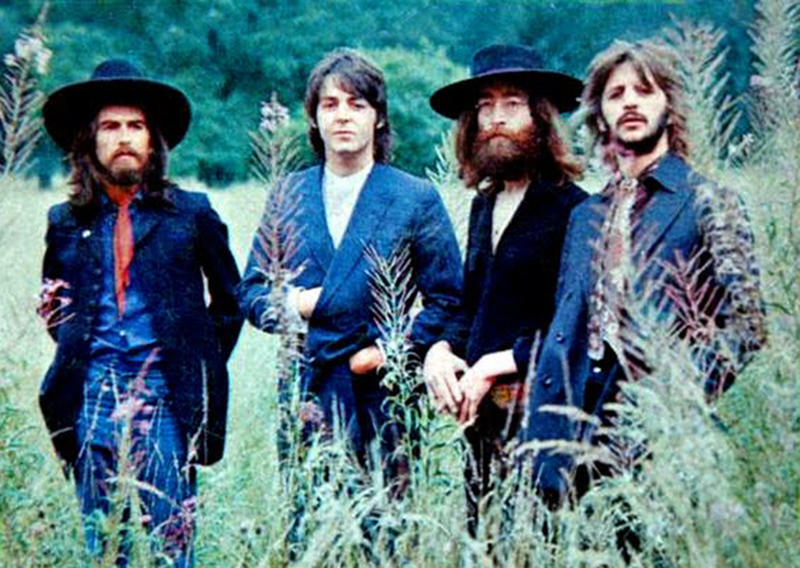 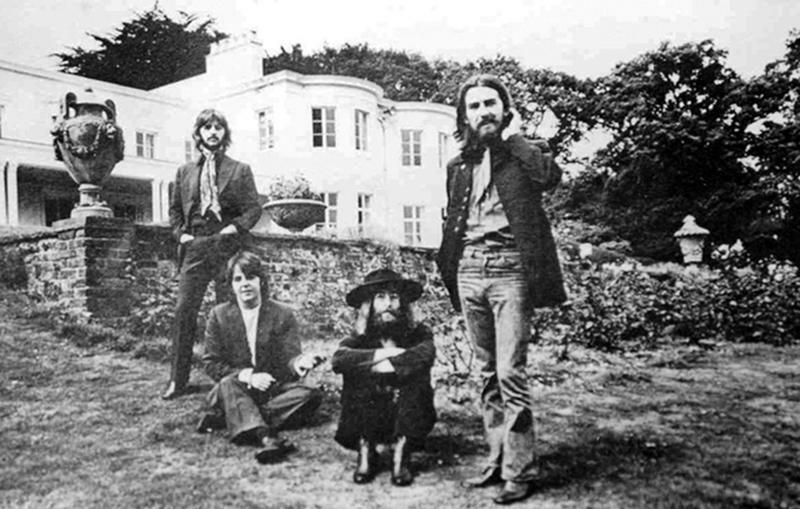 Several shots of The Beatles were taken in front of a low wall on the lawn near the main house. 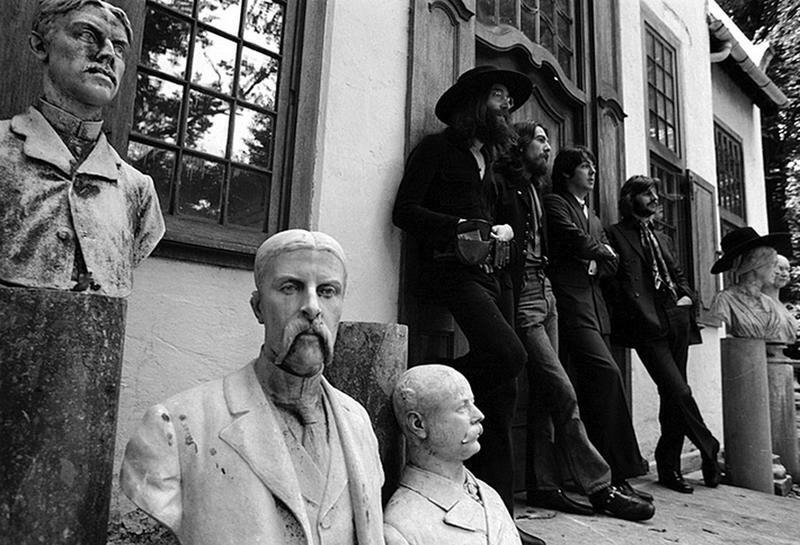 On the balcony, surrounded by stone busts, The Beatles were photographed leaning against the door of Tittenhurst Park's Victorian assembly hall. 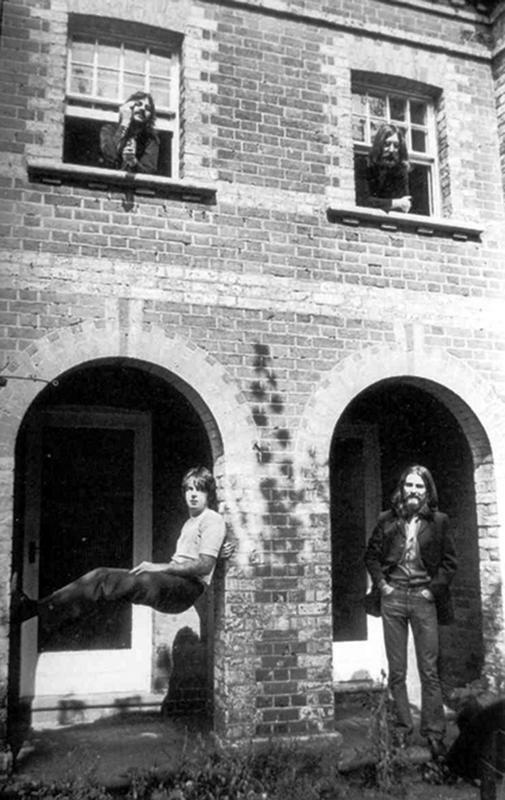 Paul McCartney and George Harrison in the arches, with John Lennon and Ringo Starr looking out from the windows above. 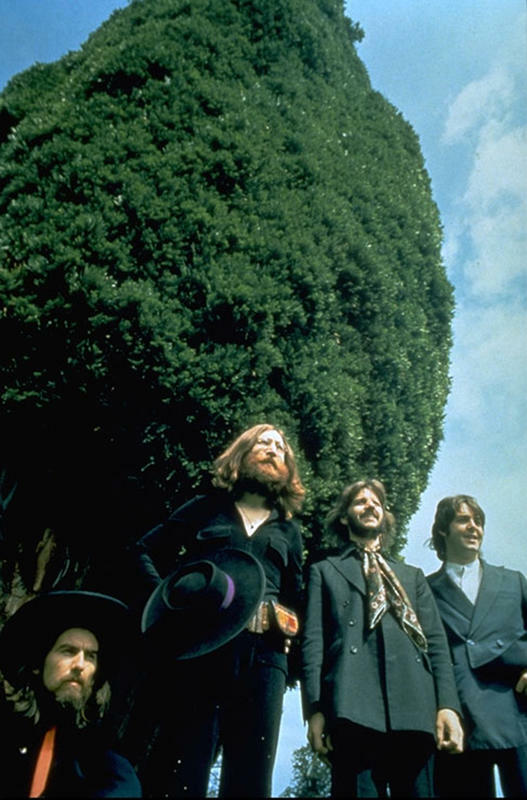 Underneath the cypress tree near a statue of Diana, the Roman goddess of the hunt. 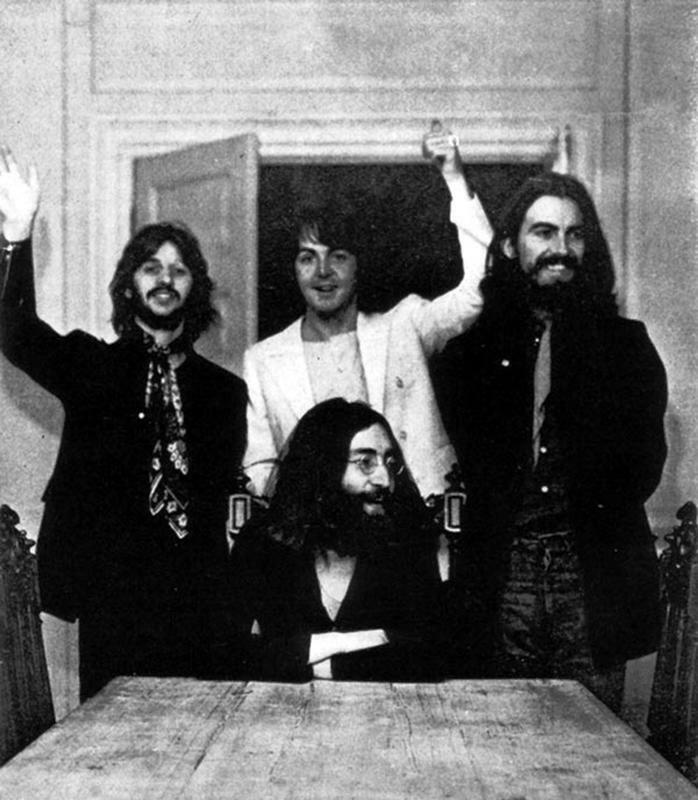 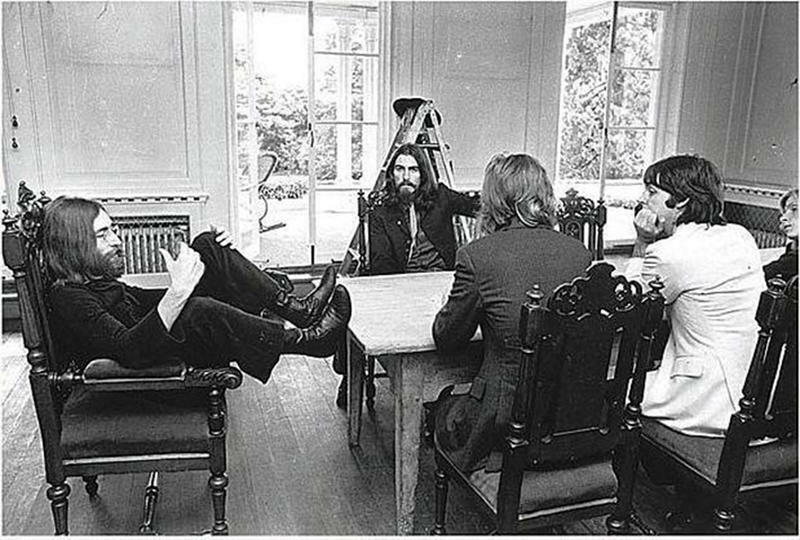 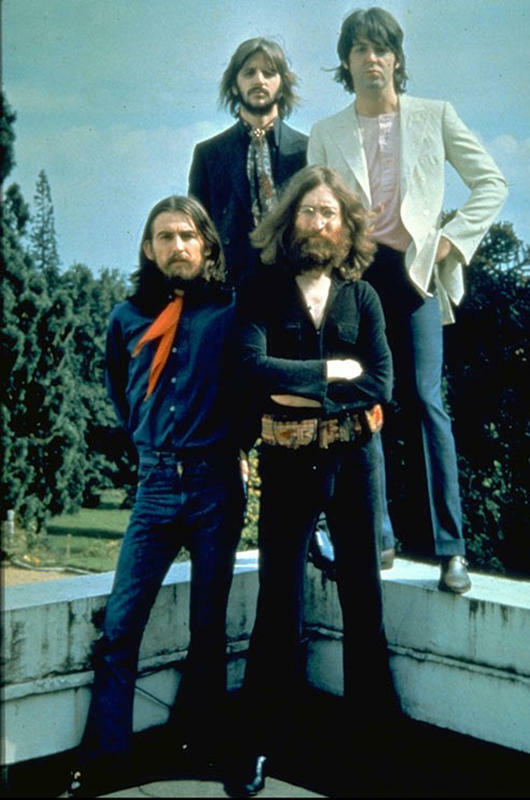 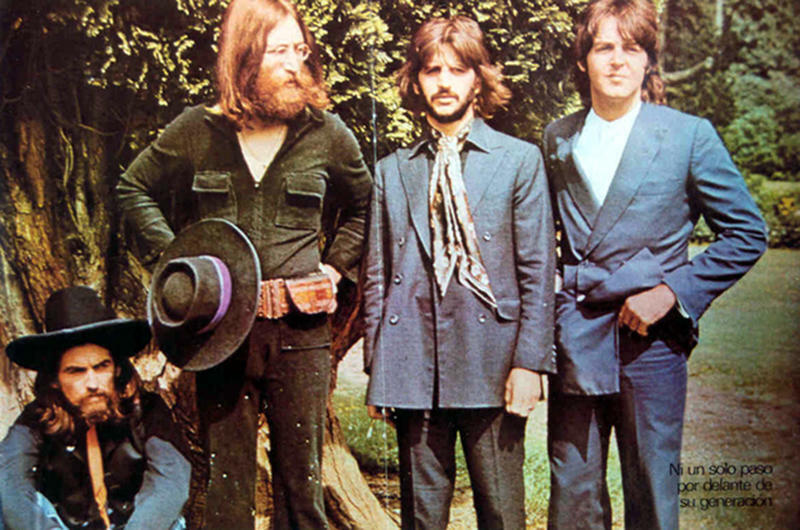 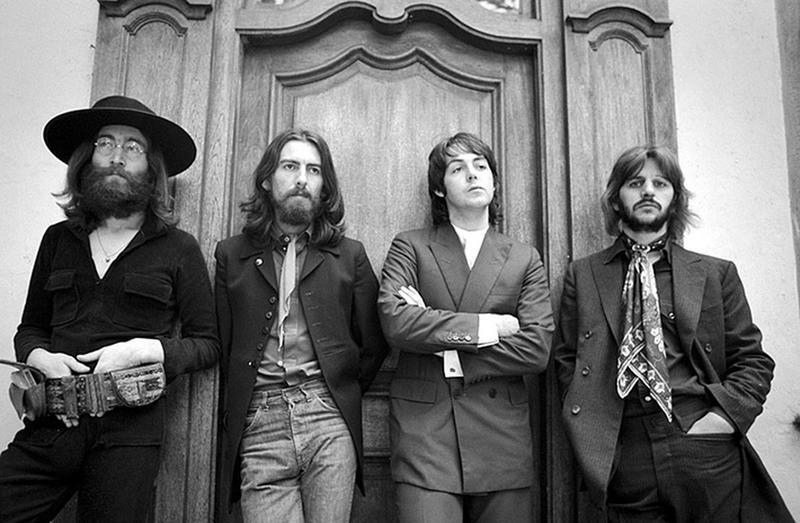 In the main house at Tittenhurst Park, the group were photographed while seated at a large wooden table.